AIVAK INC. – Excellence to contractors, owners, engineers, architects, and financial institutions – San Francisco, CA, US. Organization AIVAK INC. – Excellence to contractors, owners, engineers, architects, and financial institutions – San Francisco, CA, US. AIVAK INC., a full service construction management and project controls firm specializing in transportation, infrastructure and buildings in Northern California. Aivak is a certified California SBE, and pending LBE with several agencies. With over 30 years of combined experience in capital program and infrastructure projects, Aivak brings to the team a diverse set of both program and construction management experience. Aivak serves a variety of industries and project types and is committed to delivering excellence to contractors, owners, engineers, architects and financial institutions by maintaining the highest standards of quality for consulting services within the construction industry. Together, we have vested interest in making your project success our highest priority. Aivak recognizes success is measured by exceptional outcomes, and thus the Project/Program Management team that you select must be poised to deliver an exceptional project outcome. Aivak is that team. Aivak provides project management and project control services, and has the proven expertise and ability to provide seamless integration solutions for your project. Working closely with owners, architects, engineers, and other construction consultants, Aivak provides seamless integration between all stages of the construction process. From pre-construction to project closeout, Aivak provides proactive solutions for any construction program. Gene, PMP; holds a Masters in Construction Management from the University of Buffalo, an MBA from the University of Texas and a registered engineer in California, Virginia and Texas. Gene brings to the company, over 19 years of Project Management and Project Controls; overseeing multiple billion dollar projects overseas and within the United States. Futurist Speaker – Accurate visions of the future – Westminster, CO 80031, USA. 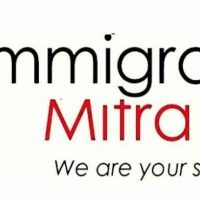 Immigration Mitra – Study abroad and immigration consultants – New Delhi, India. Global Aviation Infrastructure LLC – Management and advisory services for corporations, airport sponsors – Mount Pleasant, SC, US. Start To Finish Drafting and Design – Residential home drafting & designing – Sarasota, FL, US. 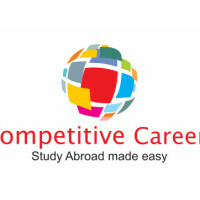 Competitive Careers Pvt Ltd – Education Consultant and IELTS Training Providers – Ahmedabad, India.